This week, let’s focus on the important part of the legislative process where House and Senate chairs of committees and the members of each specified committee look through thousands of bills to decide which pieces of legislation would make the cut before the next deadline (tomorrow, Tuesday January 30). This part of the process is a tedious one where committee members are forced to decide what legislation is priority and will make the cut or die on the calendar. Remember there were more than 2,000 bills submitted, so many of those bills will certainly die in committee. During this process, committee members ain’t too proud to beg for passage. That means House and Senate members, issue-based lobbyists and advocates are all trying to see if the relationships they have are solid or as shallow as a cocktail pool. (What’s the point of those?) This doesn’t minimize the job of committee members but highlights there is no way to look through and bring up every bill referred to more than one committee, so people have to hustle. This process is the first (and for some, the second) time their bill will die. In reality, some great pieces of legislation won’t see the light of day and zombie bills—those that need to die but pop up out of the grave when you turn your back—will come back. With those creepers, all we can do is keep track and work to ensure the stake goes through the heart and resurrection is not an option. This entire process is survival of the fittest at its most true. Excuses, Excuses – Bending The Law! This week was a week filled with people visiting and rallying inside their Capital (and breaking some rules while doing so). There’s something thrilling about a bit of rebellion, isn’t there? Is it just me? Anyway, I’m going to give you a little homework, if you want additional background on how last week’s rally for School Choice went against Capitol access rules, along with other key issues and how each issue was handled (or mishandled). Coming soon! We’re preparing to co-host a TwitterStorm on HB957 that allows you the opportunity to ask additional questions about it and anything else that may be on your mind. We’ll get you details soon. Here is a better idea of what we are looking at as the next deadline on committee deadline on January 30: We will have a much clearer picture of what’s going on. You know, after we sift through the rubble. 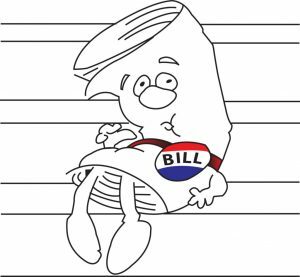 And I’ll keep you updated on the status of the following bills. This isn’t a comprehensive list; it’s a sample of the dreadful legislation submitted for consideration. HB 1227 – Medicaid Waivers – creates a barrier to the services currently provided and would likely result in the removal of many individuals on the program under medical care. Mississippi has an opportunity to increase women’s wages by passing Equal Pay legislation this session. We need a public outcry to get HB 717 and HB 1257 out of committee. Please contact Chairman Mark Baker of at 601.359.3770 and show your support for the two Equal Pay bills to be brought up in committee. Women make more than $9,000 less than men in the state of Mississippi. We have the power to change this! Read this piece by Sarah Fowler on equal pay for women that explains the issue more in depth. 5:30 pm · Smith Robertson Museum & Cultural Center | 528 Bloom St.